Wine, enjoyed in moderation, is a healthy food which enriches life. Below you will see details on the itinerary for the 2019 edition. A similar tour will be run in May/June 2021. Email: Steve Thurlow steve@stevethurlow.com if you would like to find out more on this trip and to get an idea of the plan and the price. 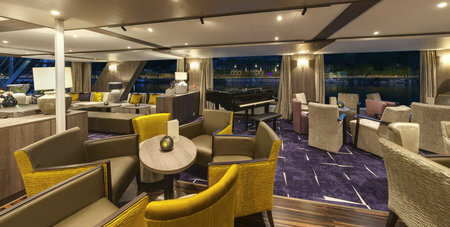 Imagine Spring in Provence cruising on board the premium river ship, Amadeus Provence. This new addition to the AMADEUS fleet sails exclusively along the Rhone and the Saone, two of France’s most beautiful rivers, and takes you to dream destinations in the south of France. The splendour of Paris, Lyon and Avignon with their magnificent architecture will be enjoyed along with the rural beauty of Chablis, Beaune and Arles. 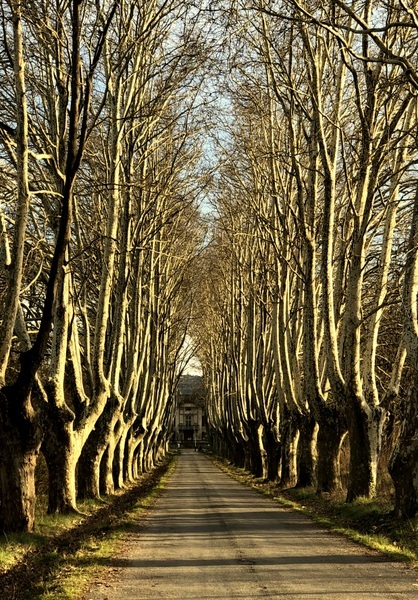 Wander in the streets where the painter Van Gogh spent his last years and soak up the beauty of the slopes of Burgundy covered with vineyards established centuries ago. This region is a feast for all the senses. Join wine personality Steve Thurlow as he leads a 12 day excursion of discovery and enjoyment. Visit wineries and mediaeval cathedrals and see spectacular buildings built by the Romans that are still in use today. Dine at wineries with their owners and winemakers, relax in the warm sunshine and enjoy the luxury of a floating 5 star hotel. 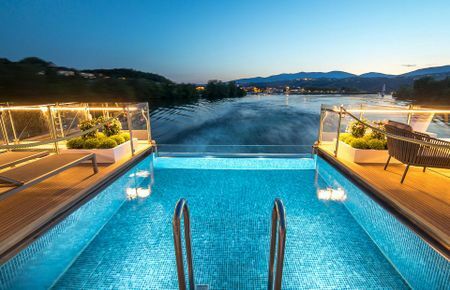 On board Amadeus Provence you can expect the most modern fittings that blend masterfully with the architecture of the ship and the luxurious design with an infinity swimming pool on the sun deck. The generous interior planning and design provides comfortable room for 140 passengers in the spacious restaurant and Panorama-Bar. Both offer views of the passing riverscapes, and the outdoor, glass-shielded River Terrace allows you to relax in the open regardless of the weather. AMADEUS Provence is the first ship of the AMADEUS fleet to include a pool deck with a swimming pool and the Lido Bar, where you can enjoy hours relaxing on board in the sun. The crew will see to your comfort and attend to your every wish with typical Austrian hospitality, ensuring that your experience on the AMADEUS Provence is an unforgettable one. In May each year there is plenty of warm sunshine in the South of France. In Avignon you can expect highs of 24°C and lows in the middle of the night of 11-13°C. Wine for Life in co-operation with Lüftner Cruises presents an accompanied wine, food and cultural visit to Central and Southern France. 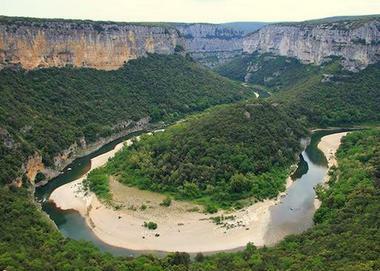 Journey from Paris to Lyon via Chablis, Beaujolais and Burgundy in a luxury tour bus. 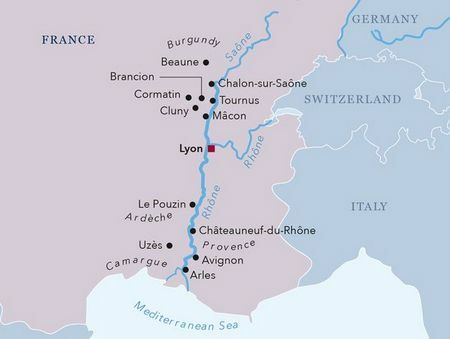 Then continue from Lyon to the Mediterranean and back on board Amadeus Provence. Email Steve Thurlow steve@stevethurlow.com if you would like to find out more on this trip or would like to join the pre-register list. ... and request a reservation form. The price for the 12 day trip in 2019 was C$7895. A non-refundable deposit of C$800 per guest is required to secure a place on the trip. Final payment for the trip is required 130 days prior to departure. Guests are advised to take trip cancellation insurance which we are happy to provide. Please request a quotation when registering for the trip. 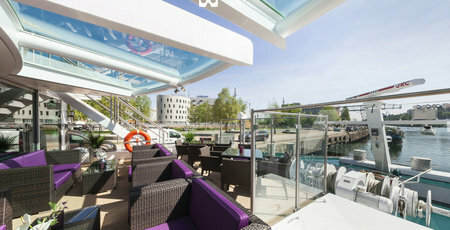 The trip price assumes double occupancy in the hotels in Paris and Beaune and on board MS Amadeus Provence in a 172 sq. 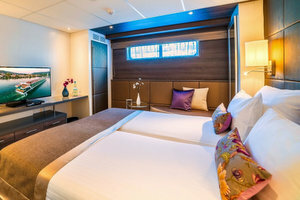 ft. cabin with a panoramic window on Haydn Deck Category C1 and includes the hotels, river boat cruise Lyon to Arles and back to Lyon, and luxury coach transportation elsewhere. Also included are buffet breakfasts every day, winery visits and tastings, and 18 meals, most with wines, all led by Steve Thurlow. Guests are required to make their own travel arrangements to the hotel in Paris and home from the ship in Lyon. We are pleased to assist with air travel if required. 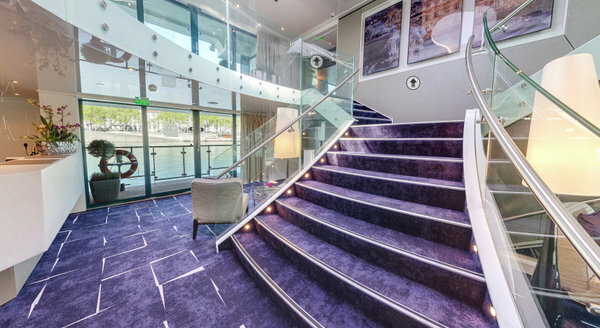 The modern fleet of Lüftner has set a new standard in European river cruising and offers many features unmatched by other river cruise lines. 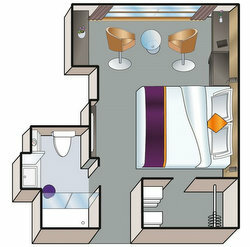 The all-inclusive price assumes double occupancy in a 172 sq. ft. stateroom with a window on Haydn Deck. Category C1. Amadeus Suite prices on request. Single Supplement prices are available on request. 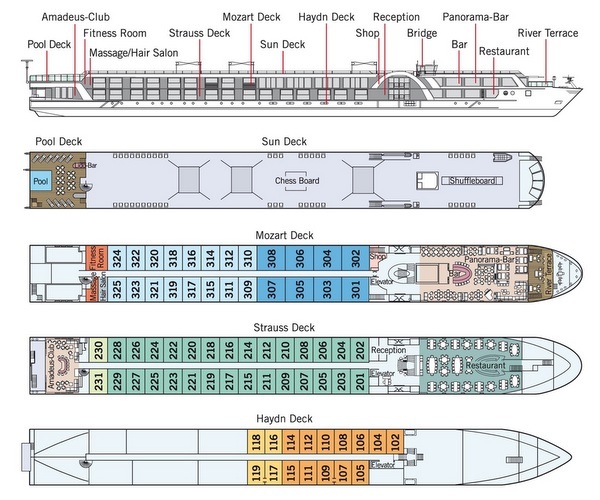 To discover more about the ship and its staterooms and facilities download a factsheet on Amadeus Provence. 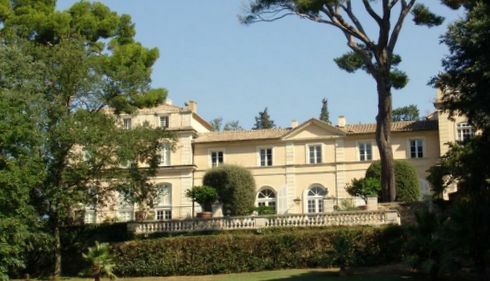 Go here to see a 360° Virtual Tour of Amadeus Provence. The day is free for rest after one's flight or for some exploration of this beautiful city. The hotel is located in the centre of Paris and is close to the Metro/RER station Chatelet-Les-Halles which is on the B RER line which connects directly with Aeroport Charles de Gaulle. Les Halles was Paris's central fresh food market until it was demolished in 1971 and replaced by the Forum des Halles, a modern shopping mall built largely underground and directly connected to the massive RER and metro transit hub of Chatelet-Les-Halles. The shopping mall welcomes 150,000 visitors daily. In 2013, it was the second most visited shopping mall in France with 39.2 million visitors. There will be a tasting of their wines followed by lunch with Gregory Viennois, the technical director. After lunch it is time to get back on the road to Beaune in Burgundy. But first we will make a brief stop on the outskirts of Chablis to visit some of the Grand Cru vineyards on a hill to the south of the town. We leave our hotel after breakfast for the drive south to Chablis where we will arrive around lunchtime. We will visit the cellars of Domaine Laroche which are located in La Obédiencerie, a 1000 year old complex of buildings in the centre of Chablis. We will hear about the remarkable history of this property and will see this ancient wine press. We arrive in Beaune late afternoon to check-in to our hotel for the next three nights. 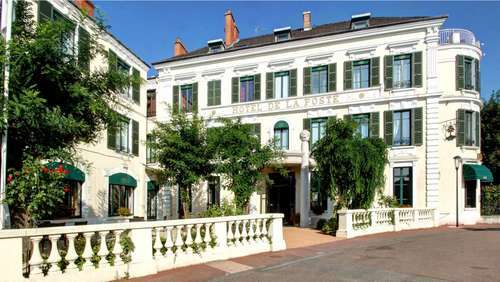 Hotel de la Poste is in the centre of Beaune within a short walking distance of 20 restaurants and bars. 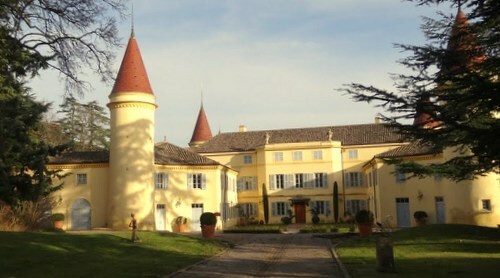 We leave the hotel this morning to visit the Maison Louis Jadot winery on the outskirts of Beaune. 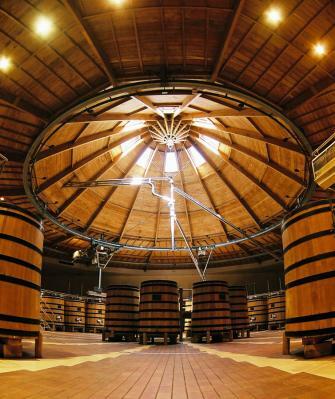 We will see the cathedral sized fermentation room with its domed wooden ceiling. After the short winery visit, we will taste their wines with winemaker Christine Botton and then have lunch together in the winery. We return to our hotel after lunch. There will be free time for further exploration of the town. 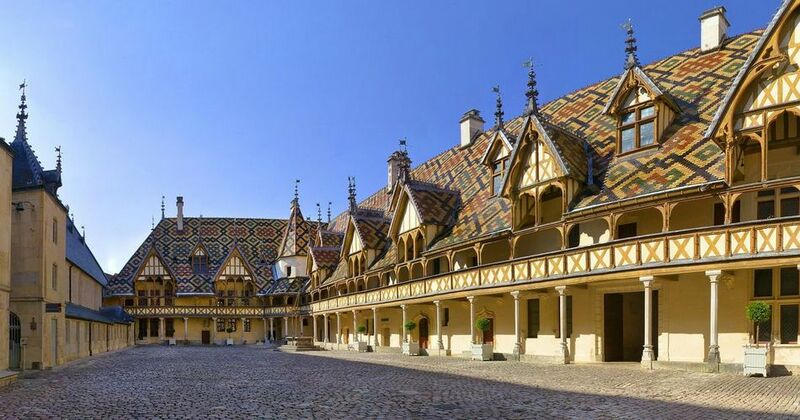 The Hospices de Beaune in the centre of town is well worth a visit. 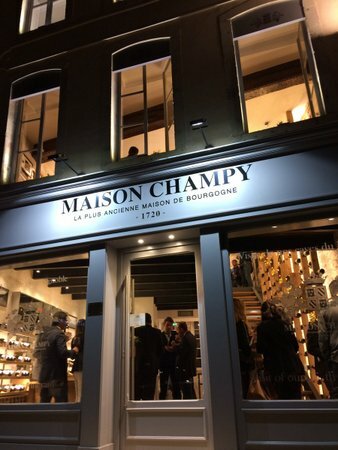 We leave our hotel late afternoon to visit Maison Champy which is a short walk in the centre of Beaune. We leave the hotel after breakfast for a 90 minute walking tour of Beaune with our local guide. The walk will end at the Bouchard Aine et Fils winery in the centre of the town. 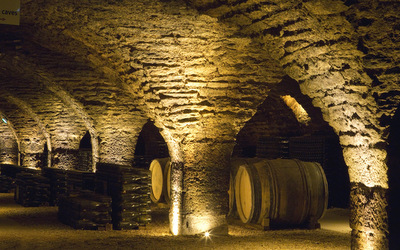 The Bouchard family settled in Burgundy in 1733 and they have been a major force since then in the wines of the region. After visiting the winery for a brief tour of the historic cellars and a tasting we will leave by bus for a tour of the Cote d'Or. We will pass through several famous wine villages on our way to lunch in Fixin. 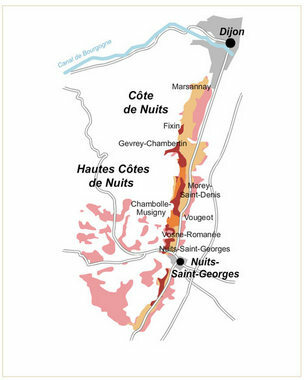 We will see Aloxe-Corton, Vosne-Romanee, Morey-Saint-Denis, Chambolle-Musigny, Gevrey-Chambertin and Vougeot, among others, stopping from time to time for photo-ops. We will take lunch together at the restaurant Au Clos Napoleon with Burgundy wines selected by Steve Thurlow. We leave for Beaune, after lunch, returning to our hotel. The balance of the afternoon will be free for rest or further exploration of the town. We checkout of our hotel in Beaune after breakfast and will soon be on the road to Beaujolais. 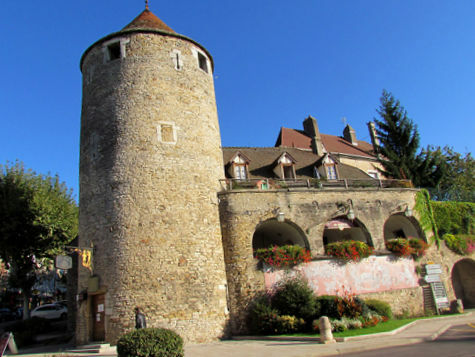 We will stop to visit Mommessin at Chateau de Pierreux in Brouilly, one of the Beaujolais villages. We will taste Mommessin wines from several of the villages in Beaujolais to discover their different styles. We will make a brief tour of the chateau, parts of which date from the C13th century. Its cellars date from the early C17th , while the residence one sees today is from the C19th. After the tour we will take lunch with the wines of the Chateau supplemented by other Mommessin wines in the dining room of the Chateau. 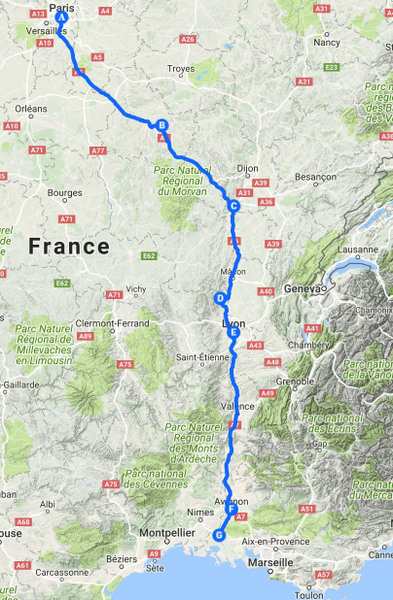 After lunch we will leave the Beaujolais region to join our ship in Lyon. Late afternoon we will be on board Amadeus Provence. After settling in to our cabins, we gather for a welcome cocktail to meet the other passengers. This is followed by a Welcome Dinner. We dock in the centre of Macon at 8:00. The morning is free for exploring the town, maybe for some shopping. There is also an optional tour organized by Luftner to visit the Georges Duboeuf winery in the morning, which some may choose to join for €69 per person. Duboeuf has created a wine theme park with several multimedia presentations plus many artifacts and displays to tell the story of grape growing and winemaking in the region. The tour concludes with a wine tasting. All should be back onboard for lunch. After lunch there will be time for relaxing onboard or maybe for further exploration of Macon. 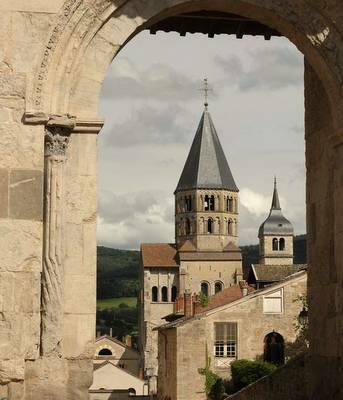 In the afternoon Luftner will organize another optional tour to visit Cluny Abbey for €58 per person. The Benedictine Cluny Abbey was founded in 910 and had an exceptional influence on Europe, both political, artistic and religious. Until the reconstruction of St Peter's Basilica in Rome in 1506, Cluny Abbey was for three centuries the centre of the largest medieval monastic order in the western world. All that remains today of the original abbey is the bell tower. The ruins have been excavated and one can imagine the scope and majesty of the buildings when taking the guided tour. Everyone should be back onboard early evening since the ship sails at 19:00. 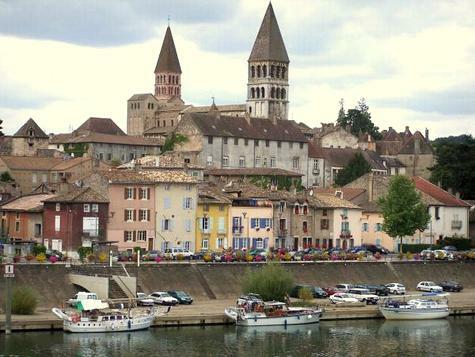 Having sailed overnight we dock at 8:00 in the centre of Chalon-sur-Saone. This is the northernmost point of our voyage. After breakfast we will leave the ship to visit a winery in Buxy in the Chalonnaise sub-region of Burgundy. The red tower in the centre of Buxy is close to the winery. La Cave des Vignerons of Buxy is a wine cooperative with hundreds of members. 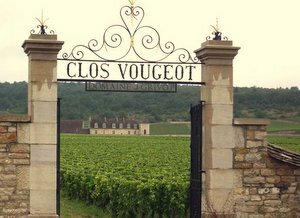 They will welcome us as we discover their excellent red and white wines, whose finest is Montagny, a lightly oaked chardonnay. We return to our ship for lunch. We sail south at 14:30. The ship stops at 17:30 in Tournus for two hours before dinner, so there will be time for a brief walk, maybe to visit the early C11th church of St Philibert. It is the main surviving building of the former Benedictine abbey of Tournus and it is built in the Burgundian Romanesque style. We dock in Lyon at 6:00. After breakfast we will take a guided city tour of Lyon. It is the third largest city in France and lies at the centre of the second largest metropolitan area after Paris. 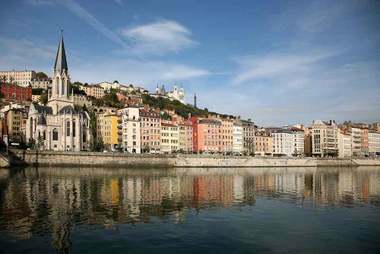 The historic centre of Lyon is a World Heritage Site, with its renaissance old town, Roman ruins, historic industrial districts and the regal 19th-century Presqu’île quarter. 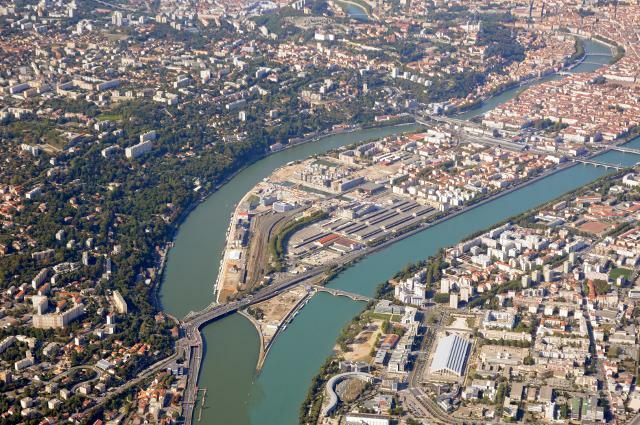 The city was founded 2,000 years ago at the confluence of the Rhone and Saone Rivers, and built its fortune on the silk trade. 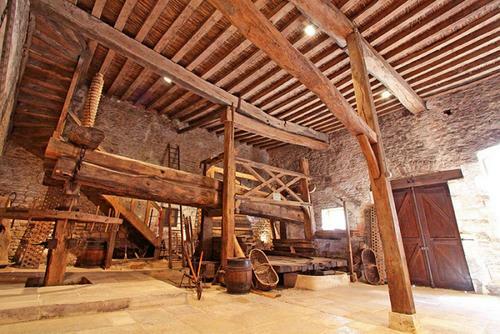 The wealth from this industry furnished it with beautiful renaissance architecture especially in Vieux Lyon, where semi-hidden passageways called Traboules connect courtyards with the Saone. After the guided city tour we return to the ship which sails at 12:00. We take lunch onboard and then many will enjoy the cruise relaxing on the sundeck. 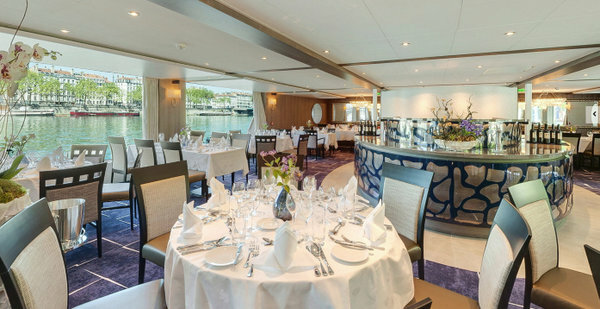 In late afternoon, just prior to dinner and as we continue to sail south, Steve will organize an optional tasting on the wines of the Northern Rhone since on this cruise we do not stop in the Northern Rhone wine region. 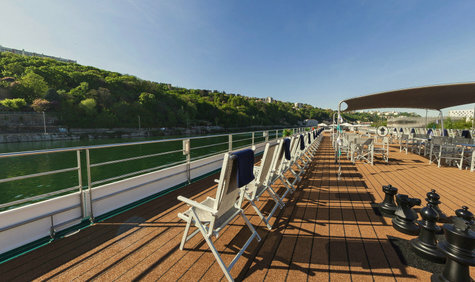 Amadeus Provence will sail through the night to Avignon. The ship will dock at 9:00 in Avignon close to the Pont d'Avignon and the historic Papal Palace. Only half of the ancient bridge remains. 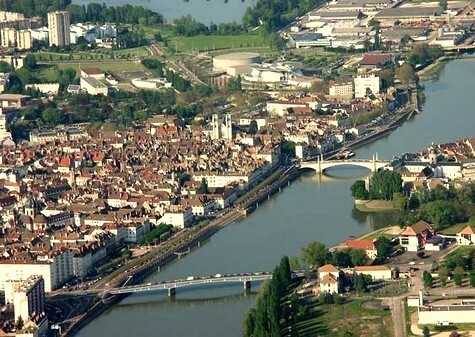 The Pont Saint-Bénézet, its official name, is a medieval bridge that was built between 1177 and 1185. It was washed away by floods on several occasions and finally was abandoned in its current state in the C17th. It is immortalized in the song Sur Le Pont d'Avignon that many of us learned in French classes in school. After breakfast we take a guided tour of the city which will include the Palace and the Bridge. The Palace construction began in 1252, but it was not until 1309 when Avignon became the residence of the Popes, when Pope Clement V, unwilling to face the violent chaos of Rome after his election in 1305, moved the Papal Curia to Avignon, a period known as the Avignon Papacy. The Popes resided in Avignon until 1377 when their residency returned to Rome. During the seven decades of their occupancy they spent heavily on the continual construction and enlargement of the buildings which was enormously expensive, consuming much of the papacy's income during the period. The walking tour will cover the magnificent centre of the city. We return to the ship for lunch. After lunch we leave to visit the Chateauneuf-du-Pape wine region to the north of Avignon. We will soon be at Chateau La Nerthe one of the top independent producers in the area. After a brief visit to the house and its cellars we will taste a selection of their wines. We then leave this property to visit some of the vineyards in the region to see examples of the four different soil types. A viticulturist from Maison Brotte will accompany us. The most well known terrain type is called Les Gallets. Gallets are large potato sized stones which in some places leave no soil visible. During our tour of the area we will visit their winery before arriving at the maturation cellars for a tasting of their wines followed by dinner. We return to the ship docked in Avignon after dinner. We arrive in Arles at 8:00 in the morning. After breakfast we will take a guided walking tour of the city. 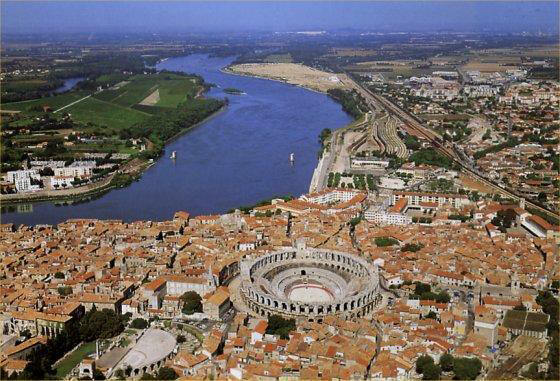 In Roman times Arles was a provincial capital of ancient Rome. Much remains from that era, including the Arles Amphitheatre (les Arènes d'Arles) which still hosts plays, concerts and bullfights. Arles is also famed for inspiring the paintings of Van Gogh, which influenced the contemporary art of the period. Many of his paintings can be viewed at the Fondation Vincent Van Gogh in the city centre. The hospital where Van Gogh was taken after he famously severed his own ear is largely unchanged, as can be seen by comparing the picture he painted in 1889 with a present day photo of the location. The afternoon is free for relaxation on board or maybe for further exploration of Arles. The Fondation Van Gogh is a 10 minute walk from where our ship is docked. Arles is the southernmost stop on our voyage. 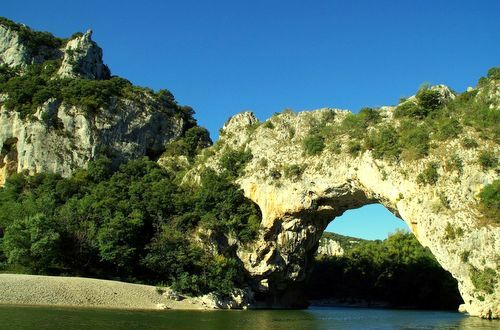 We dock at 4:30 in the morning at Chateauneuf-du-Rhone to allow passengers to take an optional excursion to the Ardeche Gorge at a cost of €46 per person. The ship continues northwards arriving at 12:00 in Le Pouzin where those on the excursion return to the ship. After we dock there will be a chance for a short walk to see this picturesque village. 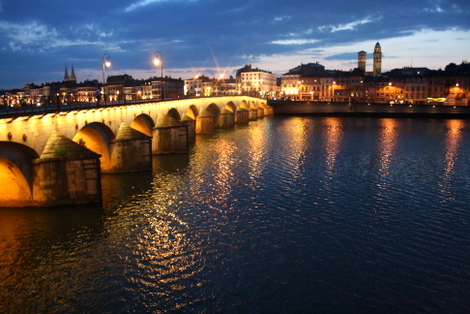 It is a 10 minute walk from the ship to see the famous Roman era bridge. After lunch we sail at 14:00 continuing our cruise back to Lyon. In the afternoon we will relax onboard enjoying the scenery and possibly reliving memories of the tour. Late afternoon we will gather for a multimedia presentation of photos and videos taken during the cruise. After cruising through the night we arrive in Lyon at 8:00. The fascinating tour comes to an end as you leave the ship after breakfast. Some will transfer to the airport while others may be going to the rail station. These tours appeal to a wide range of ages, since we can love wine, food and travel at all stages of life. Typically the range is from 30 to 65 though we have had some older and younger than this join tours in the past. Do you need to be a wine connoisseur to participate? Absolutely not. 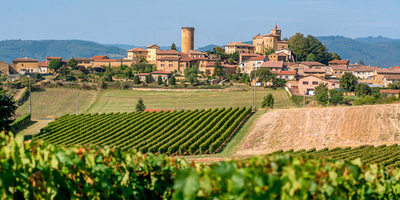 These are tours of discovery and enjoyment of the wine, food, culture and history of the region. You will certainly return home with a greater appreciation of wine. I have been told it is impossible to spend so many days traveling with me without learning more about how wine is made and enjoyed with food. Is the trip price really all-inclusive? Almost all costs other than souvenirs, an occasional cup of coffee and maybe a slice or two of pizza are included and a few meals. I frequently hear that there is too much wine and too much food such that, during free periods, people don’t need to eat or drink anything else. These trips seem to be very reasonably priced, what is the catch? I only run on average two or three trips per year to places to which I would be going anyway; so why not take a few others along with me? These trips are not a fundamental part of what I do in life and so I price them reasonably so all can afford to join. Additionally I receive sponsorship subsidies from the wine regions and wineries who are keen to show off to my guests their splendid products and services in the hope that they will spread the word. We have never traveled with a group before; will there be enough free time? I used to dislike traveling on buses with groups and also found I needed time away from the group. Consequently we have frequent stops to do stuff when we are traveling by bus plus the schedule has lots of free time built in. Moreover nothing is compulsory, people sometimes take a day off to enjoy life away from the group.